One of the best-known quotes about Western civilisation is the exchange attributed to the Mahatma Gandhi. What did he think of it? he was asked. The great man’s reply – “that would be a good idea” – has passed into legend. An equally famous aperçu from the US writer and political candidate Upton Sinclair: “It is difficult to get a man (sic) to understand something”, he wrote, “when his salary depends on his not understanding it”. Myth and mysticism are resurgent. Brexit will enable Britons to “take back control”. Corporate tax cuts will lead to “jobs and growth”. Australia’s Great Barrier Reef has a “clean bill of health”. Global warming is a “Chinese conspiracy”. None of these claims withstands more than a minute’s informed scrutiny, but that doesn’t dispel them because, as Trump’s lawyer, the former New York Mayor Rudy Giuliani, told NBC’s Meet The Press recently, “truth isn’t truth”. Inaugural Conference, Association of Media Educators of Lebanon, Lebanese American University, Beirut 7-11 Dec 2017 — Lebanon is a country in acute need of Peace Journalism. 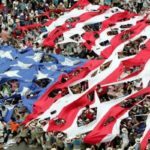 In a general sense, there is a hunger among both journalists and their readers and audiences for ways to engage with social and political issues in the public sphere that do not exacerbate the tensions inherent in a diverse society, still coming to terms with the legacy of a vicious civil war. To the extent that grievances over inequalities in Britain drove the Leave vote, they were shooting at the wrong target. The UK cost of living crisis is due not to ‘Brussels’ but the actions of governments the British have elected to power in Westminster. The long-cherished vision of the Brexitollahs is for power to tilt still further in favour of employers and the wealthy. Si sono osservate dinamiche che conducessero a una grandiosa cospirazione putativa, che coinvolgesse vari soggetti di vari settori – industria, militare, politica e media – attivi a tramare in segreto per sospingerci alla guerra, a prescindere dalle conseguenze, al fine di far soldi? Qui è dove attingiamo ai concetti forniti dalla sociologia per definire la portata dell’attività politica non nelle parole e negli atti di attori identificabili – l’aspetto ‘comportamentale’ – bensì in quanto forza generativa immagazzinata in e attivata da sistemi e strutture. Are these observations leading to a putative grand conspiracy involving individuals in different domains–industry, military, politics and media–scheming in secret to propel us into war in order to make money? This is where we reach for the concepts furnished by social science to locate political agency not in the words and deeds of identifiable actors but instead as a generative force that is stored in, and activated from, systems and structures. Peace journalism is when editors and reporters make choices – about what to report, and how to report it – that create opportunities for society at large to consider and to value non-violent responses to conflict. The Australian Research Council’s latest funding round is rich on gadgets, but a wasteland to social justice projects and big ideas. My designated Field of Research is Journalism Studies. And yet, of 630 funded projects, the number in Journalism Studies is… zero. Yes, that’s right: the square root of naff all. CPACS has a long and distinguished record of bringing the perspectives of Peace with Justice to bear on the University’s research, teaching and community outreach. We honour the tradition of speaking truth to power on vital issues where the mainstream of Australian politics and media would rather look the other way. Calls are principally focussed on having Associate Professor Jake Lynch and Dr Nick Riemer dismissed from the university. In Lynch’s case, this is the demand explicitly being made by the Australasian Union of Jewish Students. We call on you, Dr Spence, not to allow yourself to be made the agent of the Israel lobby’s persecution of those committed to a just peace in the Middle East. I am writing to ask you, who stood with us over our support for the Academic Boycott of Israel, to now write to the University of Sydney to help save the Centre for Peace and Conflict Studies in its present form. 16 Jul 2014 – I have spent the last year defending my right, through Australia’s Federal Court, not to take part in fellowship schemes that link the University of Sydney, where I direct the Centre for Peace and Conflict Studies, and two institutions from Israel. This week, Judge Alan Robertson dismissed the case against me and awarded costs. What’s Really at Stake in the Sydney University BDS Affair? People in Israel should realise that in the 21st century the world will not keep tolerating the Israeli occupation. This is realised by many in Israel and the responses include using the courts of other countries to close down political action intended to signal a refusal to tolerate the occupation, such as BDS. ‘Stone Cold Justice’, come spesso fa un articolo di Giornalismo di Pace, termina con un punto interrogativo. Israele può essere forte in questo momento, osserva John, ma cosa succederà quando l’attuale giovane generazione di palestinesi – in molti casi brutalizzati e traumatizzati – diventeranno adulti? Free Speech and BDS Case: Applicants Wanting to Run! At the Australian Federal Court, four of the five applicants to have me found guilty of racial discrimination applied to pull out of the action. That would leave only Shurat HaDin, the right-wing Israeli law centre. But I still need your help in meeting my legal bills, which are well into six figures. Military spending and mythology in Australia have taken on a life of their own. Perhaps we can use 2014 and 2015 to switch our critical faculties back on, and use our freedom and democracy to loosen the grip of the military-industrial complex and our deference to warmongers across the Pacific. That would be a fitting codicil to a century of war. It calls for journalism to offer backgrounds and contexts of conflict, not just the familiar series of big bangs; a wide range of voices rather than merely a leader on each ‘side’; supply readers and audiences with the means to challenge dominant accounts, and therefore resist propaganda; highlight peace initiatives, however small, which are always underway in any conflict, perhaps in out-of-the-way places; and show images of peace as well as those of war. Tomorrow (March 25th, 2014) is scheduled as a full day in the Australian Federal Court as I defend myself against the application to have my stance on the academic boycott of Israel declared illegal. The court proceedings have been going well up to now, but the case is a complicated one, and the legal bills are rolling in. If you haven’t contributed yet, now would be a good time to do it. Thank you! 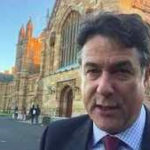 UPDATE March 17, 2014 – Associate Professor Jake Lynch, Director of Sydney University’s Centre for Peace and Conflict Studies [and TMS advisor], has been taken to the Federal Court of Australia due to his support of the Palestinian call for academic boycott of Israel. The court case is now entering a crucial phase. Over 250 of you have made a donation to the legal fund so far. Please make your donation here—however small. Thank you! February 2014 – Associate Professor Jake Lynch, Director of Sydney University’s Centre for Peace and Conflict Studies [and TMS advisor/peace journalist], has been taken to the Federal Court of Australia by the Israel Law Centre, due to his support of the Palestinian call for academic boycott of Israel. We call on our supporters to MAKE A DONATION to support Jake Lynch’s fight for our democratic rights. The More Informed People Are About Israel-Palestine, the More Likely They Are to Sympathise With the Palestinians – This week in Australia’s Federal Court I am defending my right not to participate in institutional arrangements with Israeli higher education, in response to the call by Palestinian civil society for an academic and cultural boycott. The right of academics in Australia to join the boycott of Israel is under threat from an Israeli law centre that has filed suit against me under anti-discrimination laws… A legal victory will present a great opportunity to spread the boycott campaign among Australian academics. My hunch is that there is a large potential constituency, silenced up to now by fear. Our job is to dispel that fear. 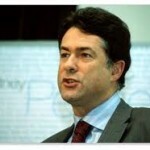 Sydney University academic Jake Lynch has come under fire this week [13 Dec 2012] for his stance on Israel. Today he argues his case: Palestinians and dissenting Israelis need international support to achieve justice. There’s a concentration on arrests of alleged “kingpins” of the drug cartels, and on the death and destruction they leave in their wake as they scrabble for control of key smuggling routes. There is much less space for exploring why some people join the gangs in the first place, and what could be done — and is being done — to offer them a route to a better future. There is a growing danger that the political leaders responsible for the greatest single atrocity of recent years will suffer no consequences. Journalists, not governments, have taken a lead in raising the issue to the international agenda of command responsibility for violations of humanitarian law in Sri Lanka. What Did The Gaza Flotilla Achieve? The Isreali navy prevented Freedom Flotilla activists from delivering aid supplies to the Gaza Strip – but the mission has had an unexpected impact on political debate here, writes Jake Lynch. In the launch edition of News Goo, Jake Lynch interviews Julian Burnside QC, and the journalist, author and film-maker John Pilger, about the investigative journalism of WikiLeaks. Has The Pro-Israel Lobby Subverted Australian Democracy? So, was there an elaborate plot, involving the active connivance of pro-Israel groups, the US embassy, the mining industry and the Right faction of the ALP, and kept successfully secret, to bring Rudd down and install Gillard in his place? To pose the question in those terms is to stretch credulity, but of course there is a way to answer it, which resonates with abundant life experience, and is encapsulated in another question: cui bono? (Or perhaps we could simply say: Go Figure). James Bourne spoke to the Sri Lanka Human Rights Project coordinator, Professor Jake Lynch, about the political situation in Sri Lanka- and how sport can be used as an effective tool of persuasion. “When peace research was launched as an academic field… the idea from the beginning was that this should be an applied social science with a value commitment: peace by peaceful means”. So writes Johan Galtung, in Searching for Peace, of the founding of the Peace Research Institute, Oslo (PRIO), in 1959. To ‘hear both sides’ is, of course, the surest way to avoid allegations of bias – but it elevates, to the status of convention, a way of reporting that divides the world around us into dyads: home and abroad (‘boat people’); humanity against nature (Pakistan floods); us and them (‘the Taliban’); Left against Right. The brightly coloured ute stood out in the traffic crawling through the historic Indonesian city of Yogyakarta. As we drew closer, we could pick out the design, lovingly spray-painted on the side: the all too recognisable face of Osama bin Laden, and the single word, ‘damai’, meaning, of course, ‘peace’. The World’s First Demonstration for Peace Journalism? The theme of the demo is ‘Give Peace a Chance’. It is – as far as we know – a world first, being a demonstration in favour of peace journalism. In our book of the same name, Annabel McGoldrick and I define peace journalism in these terms: “Peace journalism is when editors and reporters make choices – of what stories to report, and how to report them – that create opportunities for society at large to consider and value non-violent responses to conflict”. Such choices are subjugated, in most media, most of the time, by journalistic conventions: conventions that grow out of the economic and political interests of the news industry. This is why, as Richard Keeble argues, “We need to move away from the concept of the audience as a passive consumer of a professional product to seeing the audience as producers of their own (written or visual) media”. Sydney plays host, from July 6-10, to the biennial global conference of IPRA, the International Peace Research Association. The keynote speaker is Johan Galtung. Delegates can register for the whole conference or for one day. Israel’s attacks on humanitarian workers heading for Gaza have been called piracy, murder, ‘state terrorism’, even an act of war against the countries whose flags the boats were flying. On the other side has been a massive and cynical campaign of misinformation and misdirection, aimed at muddying the waters and deflecting responsibility. When you give aid in a context of armed conflict, you become part of that context and also therefore part of the conflict. The aphorism is from Do No Harm, by Mary B Anderson, the book-length account of an approach to development and humanitarian fieldwork that attempts to identify and foster local capacities and resources for peace. Let’s cup our ear to some echoes from the past. 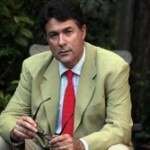 Andrew Alexander, a journalist on the right- of-centre Daily Mail newspaper in the UK, recounted how his research for a book about the origins of the Cold War confounded his presuppositions: there had, in reality, been “no Soviet military threat”, and wrong-headed western assessments that one existed were responsible for “one of the most unnecessary conflicts of all time, and certainly the most perilous”. It looked like a raised middle finger. A stark, mocking figure 1 – the number of votes garnered when Australia put itself forward a couple of years ago for membership of the United Nations Security Council. Even Iran found thirty-two supporters when it stood for election in the same round. Australia, apparently, was friendless. So why did the international community shun Kevin Rudd’s ambitions for greater recognition on the world stage? Not a column this week but a podcast, by the UN, to mark World Press Freedom Day, with fellow guests Jenny Manrique, a Colombian journalist, and Brendan O’Malley, journalist and author of UNESCO’s 2010 Education Under Attack report. There is a place where indigenous blacks are still being shunted off their land into reservations; where work is rewarded not with wages but with ration cards, to spend in white-owned supermarkets; where public services are lavished on the already wealthy but denied to the poorest unless they agree to hand over their birthright. Australia is often a good place to observe the workings of political agency. There is a blatancy here, in the connection between cause and consequence, and the alacrity with which sectional interests exploit procedures, that is both appalling and, in a perverse kind of a way, simultaneously appealing. Political parties and business lobbies seem to feel little compulsion to concealment: there is not the sense of layers of subtlety having to be peeled back to reveal what is ‘really going on’, that one might encounter in Washington, say, or London, Paris, Delhi or Jakarta. WHO’S BEING NAÏVE IN AFGHANISTAN? IS AUSTRALIA PARTLY TO BLAME FOR ISRAELI LAWLESSNESS?